I was confused on wall colors for my home. So to keep from driving myself crazy I kept with my first idea of all white walls. I truly was thinking of doing a grey cabinets for my kitchen. After multiple times of changing my mind. I decided to keep everything white. My last kitchen had creme color cabinets. 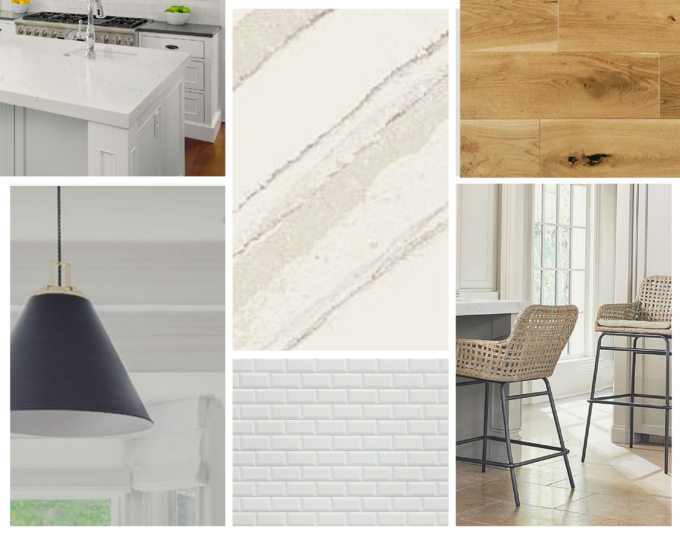 So after some researching popular kitchen cabinet colors in white there were many shades. Not every white paint is right for every situation. Some whites have blues in it and others more grey. I have always loved a all white interior home with pops of color. 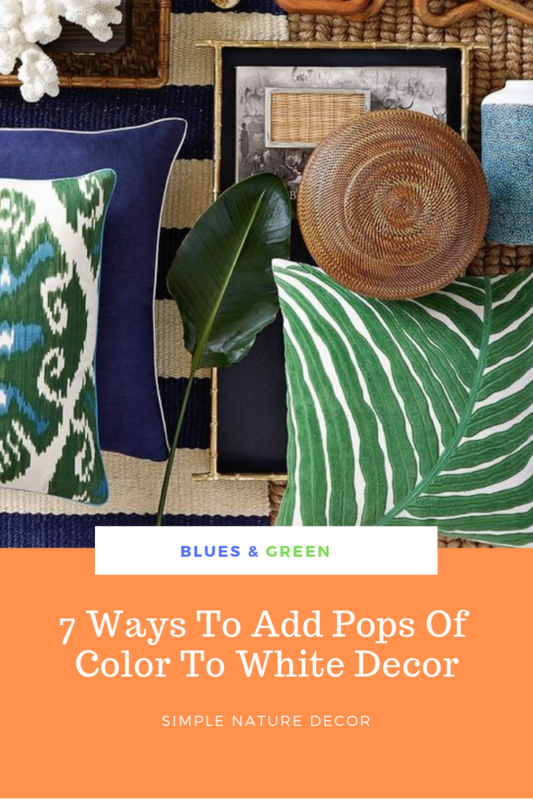 So after all the digging I decided to add color and came with 7 ways to add pops of color to white home decor. 1. Add plants to a beautiful white kitchen for color. 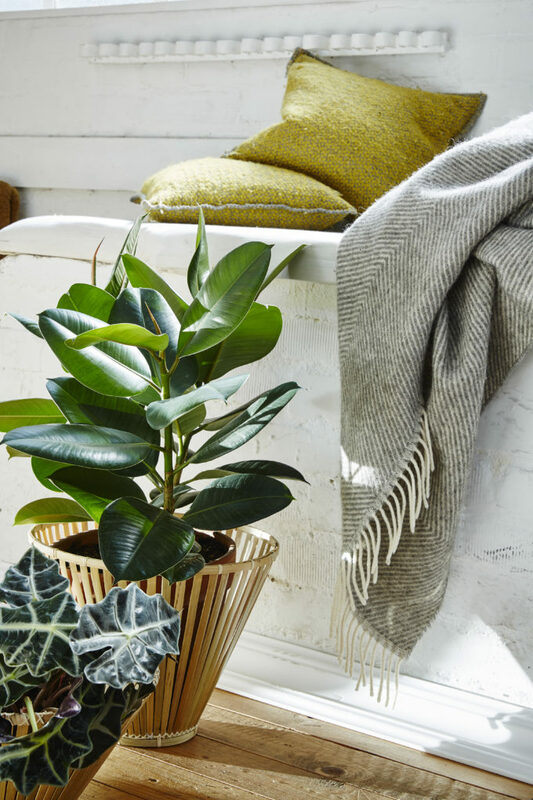 Succulents are perfect and they can be added in many places all over the house without looking over done. 2. Since I have the coastal and a contemporary feel going. I can still use my collections of fruit, botanical and reefs. 3. Blues and green pottery in the shelving/4. A bright throw places on the couches/5. Go With colorful pillows on couches/6. Add some colorful plates or bowls around the hood or shown in the glass cabinets./7. Add colorful rugs everywhere. Its has been fun and exciting picking out the finishes and design ideas for my new home. I am in the designing phase of each room. Things are going pretty fast with the building. If you want to stay updated and see the progress of the house I will be writing more posts. The house has been painted white and the metal roof is on. To see previous building post see here. I saw you post with the dried flowers and smiled because we do think alike. Can’t wait to see your kitchen. I love the look of wood in a white kitchen. When we renewed our own kitchen I was tempted to put in white countertops, but stayed with the butcher block and so glad I did! For some strange reason I never think to put plants in the kitchen, but I really should! 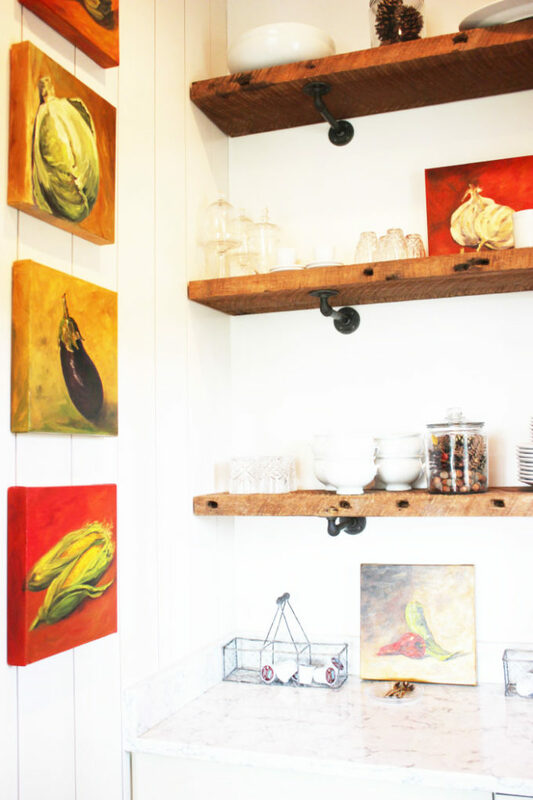 I love butcher block, i had that in my last home and loved it! I decided to do something different!Yeah plants are cool in the kitchen. Very pretty I especially like the lighting. Great ideas, Maria! I just did a transformation project to my wee kitchen. Looking forward to sharing it. These ideas will come in handy! Pinned! Thats great can’t wait to see it. Are you planning on building a new home! I thought I read somewhere you were looking to move to a new home. So many great ideas! 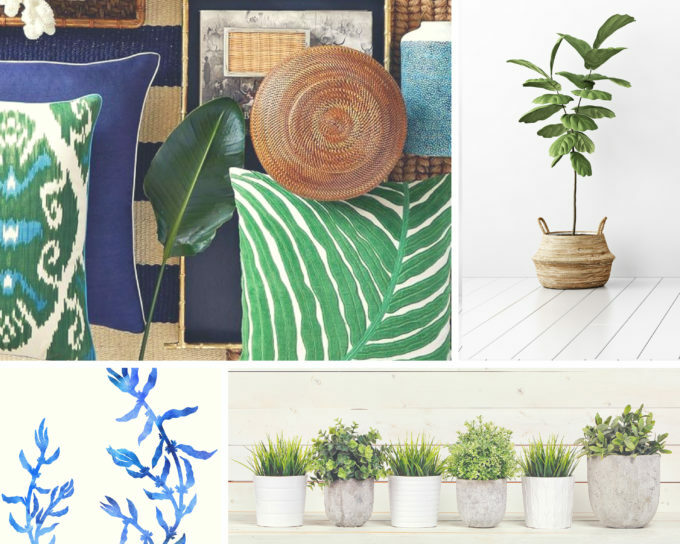 Greenery certainly makes a difference and adds such great texture and color.